Did you know dental fear affects around 20% of the population? Not many people count the days until they can go to the dentist, but some people avoid it completely. Dental fear is a serious issue because it can end up costing those that avoid the dentist greatly. Your best defense of your oral health and your wallet is to see your dentist for regular checkups and cleanings. During these important appointments, your dentist in Long Island city will be able to detect issues before they become more serious. 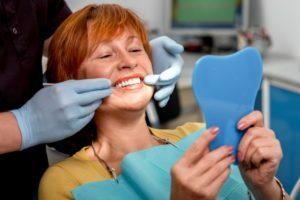 Read on to learn some tips on how to overcome your dental fear and help your pocketbook at the same time. The best place you can start is to communicate your fears and anxiety to your dentist. Many people that fear the dentist aren’t willing to open up to them but interacting with your dentist on a personal level will automatically help you relax. If you express your concerns and ask your dentist to take breaks, provide time updates, and explanation of their work, they will be more than happy to help put your mind at ease. If you get nervous at the dentist, use the relaxation techniques below to distract your mind. Breathe in slowly for a count of three and then exhale slowly for the same amount of time. This may seem simple, but it slows your heart rate and keeps your mind focused on breathing rather than the dentist or procedure. If you have someone you can talk to during your appointment to take your mind off of the dentist, that can really help. You can also listen to your favorite music to distract yourself and ease your mind during your treatment. Exercising before the dentist can help relax your muscles and your brain through released endorphins. Even a light walk before your appointment can help, but we wouldn’t recommend a super extensive workout before your visit. If none of our tips above work for you when you visit the dentist, you may need to seek therapy or specialist treatments. There are therapists all over the country that specialize in dental phobia and can help get to the root of your fear to treat the problem. Sedation is another way you can avoid dental phobia. Your dentist can use conscious sedation where you may fall asleep, but you’ll be able to respond to verbal cues. If you think the only way you can get through your treatment is while asleep, ask your dentist about sedation options. Going to the dentist is important, so use our tips and suggestions on how to overcome your dental fear to get the oral healthcare you need! LIC Dental Associates has a team of highly trained dentists ready to take care of your oral healthcare needs. Dr. Gordon Barnes specializes in dental anesthesia and sedation, so if you feel you need to be sedated to overcome your dental phobia, you’ll be in good hands. Dr. Barnes and the other dentists can be contacted through their website or by phone at (718) 530-6539 for any questions.